It is with great sorrow that we have to report the death of another actor on this website. The Hollywood Reporter is reporting that Predator’s Sonny Landham died Thursday due to congestive heart failure. Sonny is known to us as the actor who portrayed Billy in Predator. He also worked with Alien alumni Walter Hill on The Warriors. In addition to acting, like his fellow Predator actors Arnold Schwarzenegger and Jesse Ventura, Sonny Landham also ventured into politics. Due to health complications, Sonny had both of his legs amputated and had become wheelchair bound. Some footage of Sonny earlier this year has been shared recently on social media. Sonny is is survived by his son and daughter, William and Priscilla. I sent him 20$ on his go fund me for the leg thing. Well now you can fly Sonny. RIP. Loved him in Predator. I am completely baffled he was near 45 in Predator, and he certainly didn't look his age. Great character as Billy and echobbase79 is right, he had the best line in the film. RIP Sonny. My dad died last july from smoking and now this ? He was 45 in PREDATOR. I remember him as the bad guy in LOCK UP(Sylvester Stallone). He was 47 in that film. Wow I had no idea he had his legs amputated that is really rough. Very sad to hear that he has died, he gave a great performance. 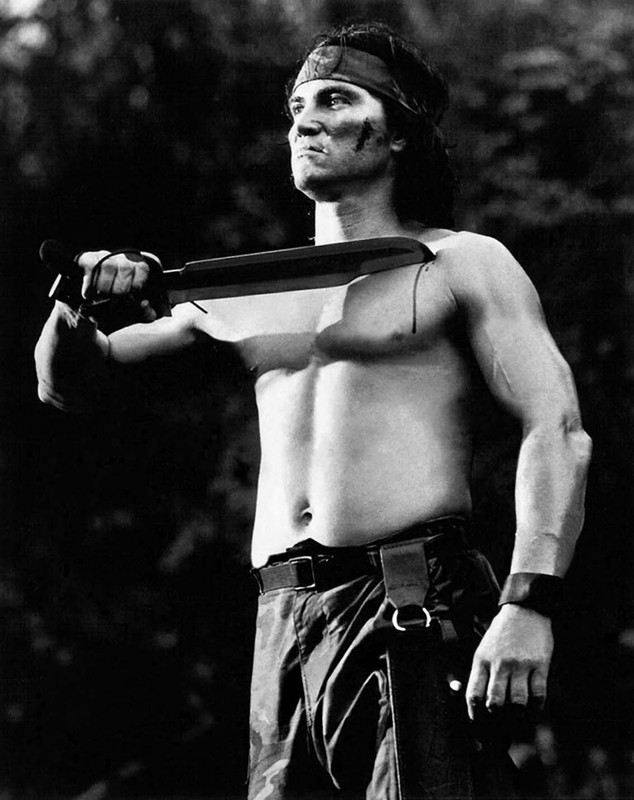 Sonny Landham was such a joy to work with on Predator - so talented, so fun to be around. We'll miss him. My thoughts are with his family. He had the best line in the movie. "There's something out there waiting for us. And it ain't no man." R.I.P Billy. He was such a great character in Predator. Great performance in Predator. RIP Sonny. Sad to see this. He was an absolute badass in Predator. I'm really sick of seeing this kind of news this year. Here's a relatively recent interview with Sonny about his time on Predator. Terrible news! May he rest in peace! Thanks for the great memories!